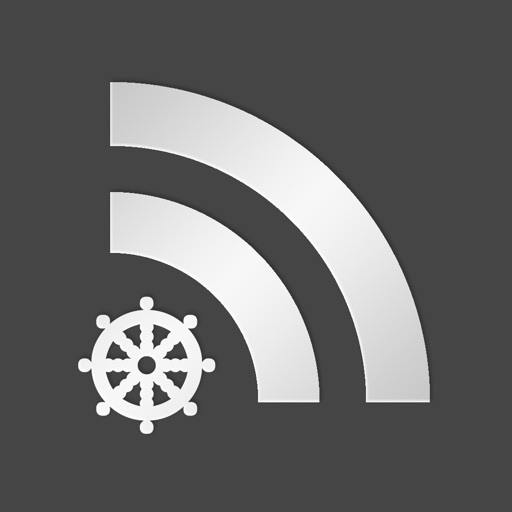 • RssBook is a classical style rss reader with complete and powerful features. 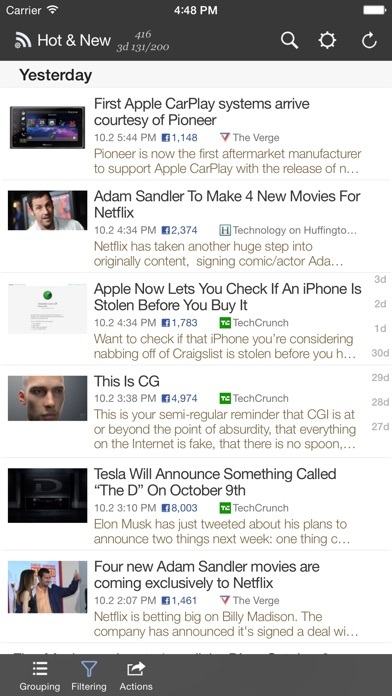 • Support for Feedly sync service / standalone rss reader. Many people like magazine views. Many people like social briefings. But we still need the complete classical reader of highest quality. -Fine control of sync setting. 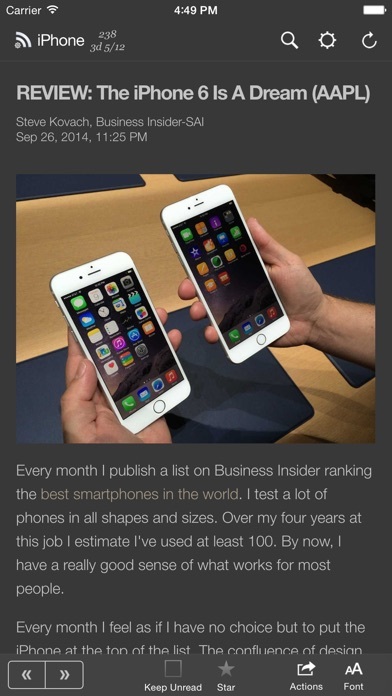 -Great performance even for large articles. 2) Rich grouping and filtering. -Every folder can be re-grouped or filtered. 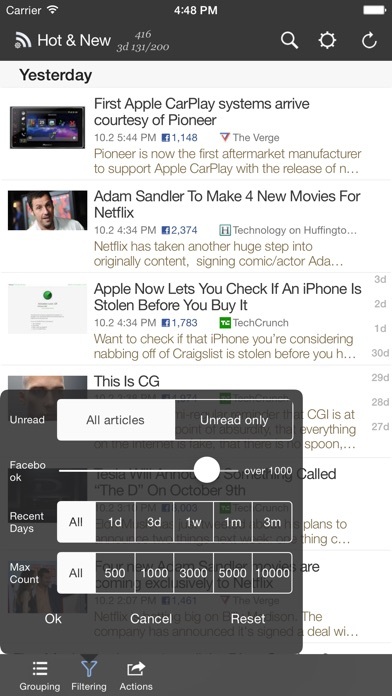 3) Intuitive UI: Sliding Navigation. -Sliding navigation - intuitive way of folder and article navigation. -Universal app, consistent UI for iPad and iPhone. 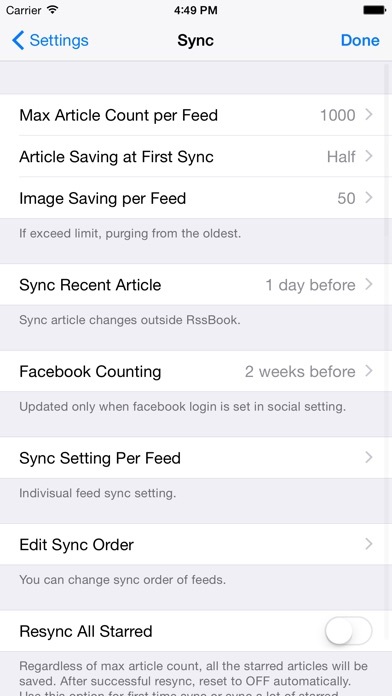 -While syncing, Facebook count also updated and displayed in article list. -When reading article, it display social bar for Twitter and Facebook. -Background Sync: Get synced while you're sleeping. -Local Link: If a link is already stored in local, it loads saved entry automatically. -Extendable long press menu on web view(Wikipedia, Google search, user define). -Add a folder to root with custom grouping or filtering. Support for various screen sizes of iPhone XS Max, XR and new iPads.